show | I'm not stalking you. MY MOTHER: I bet you still have those nasty Punky Brewster shoes stashed away somewhere. ME: Why yes, yes I do. At the height of popularity of the television series Punky Brewster (It couldn’t have been too popular, because NBC cancelled it after only two seasons. ), there was much Punky Brewster merchandise available (That right there would have been a good reason to keep it on the air.). I had a Punky Brewster T-shirt, backpack, Punky & Brandon dolls, bead kit, and clay pin kit. I even had a Halloween costume, which was actually very silly because I looked more like her in my normal clothes than in a plastic mask and vinyl suit. But what I liked the best and got the most use out of were my Punky Brewster shoes. They were hightops (that was the popular style way back then). My Punky Brewster shirt. Sorry it is wrinkled. I keep it in the back of a dresser drawer. A bird pooped on it once, but I have washed it since then. Such a cool box! There is even a pic to color inside the lid and a maze on the bottom. My mom bought the shoes very large-2 ½-because they didn’t have my right size. I wore them as long as my feet would fit in them. There was even a big P or something on the sole. But I wore them until it was gone. I loved those dang shoes. I cannot imagine why my mother thought I would actually throw them out when I was done with them. The more she asked, the deeper I hid them in the back of my closet. Sometimes I would bring it up just to spite her. I have brought them with me through three moves. The effect of heat and moisture may be reflected on their deterioration, but they are still a treasured possession. So now, you know if you are ever around me and I mention “Punky Brewster shoes” that I am bragging about my mad hoarding skillz. Don’t get me started on all the photographs I have, both digital and snapshots, that I am trying to store and keep organized. Posted in Childhood Reminiscing, Entertainment Worship & Review and tagged 1980's, children, hoarding, merchandise, NBC, Punky Brewster, series, shoes, show, television, Tshirt. Bookmark the permalink. This week my husband and I decided the best part of the ABC show The Goldbergs is the end, when they show the creator’s home movies. 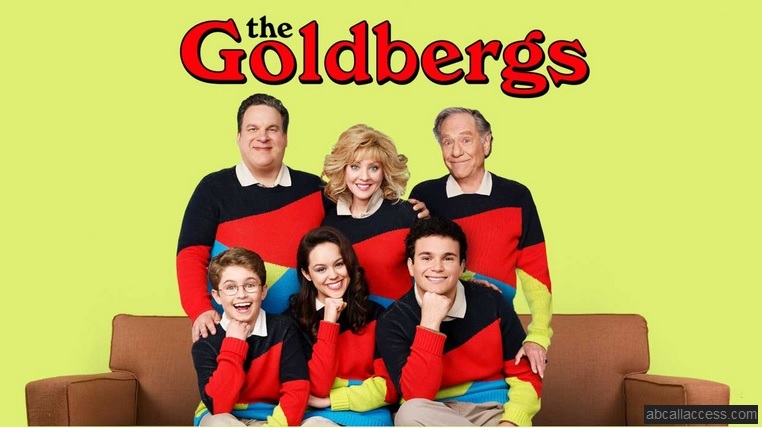 It turns out that The Goldbergs was created by a guy named Adam F. Goldberg, and it is loosely based on his own family. Goldberg grew up in the 1980’s, and videotaped everything. The actor who portrays Adam in the series does the same. But the best part of the show is at the end, when they show you the actual family VHS home videos that the real Adam filmed, which usually closely mirrors what appeared in that week’s episode. Last week’s episode was all about New Kids on the Block, who of course I adored. In the show, brothers Adam and Barry created their own video version of the New Kids’ “Hangin’ Tough”. Then, as the end of the show, you see the actual footage of real life Adam and Barry’s original “Hangin’ Tough” video. They were even placed side by side! So you had the 1980’s VHS version of real Adam and Barry copying the New Kids, then you had actor Adam and Barry copying real life Adam and Barry. It is enough to make my head spin. Posted in Entertainment Worship & Review, What I Learned This Week and tagged ABC, Adam F. Goldberg, episode, New Kids On The Block, NKOTB, show, television, The Goldbergs, TV. Bookmark the permalink. This week I learned that Ugly Betty is a really good show. I know it hasn’t aired since 2010, but I have been watching reruns every weekday. The writing is so good, the characters so catty, and the actors all just eat their rolls up. I am especially liking Becki Newton (the blond receptionist) lately, although she didn’t impress me much when I watched Ugly Betty during its prime time run. I must admit though, I am now in trouble. I have discovered Ugly Betty is on streaming Netflix. This is both good and bad. The good is that I can watch it at my convenience and not have to starve my son from 1-3PM M-F. But it allows for things like me watching four episodes yesterday. I am naughty. Betty: Mark, I started a blog! Mark: Oh, a blog…That is so six years ago. I have also learned that Once Upon a Child is a great place to shop, but not so great to turn in items to. I left with the same high chair/swing and giant plastic toy I showed up with. My items were rejected, which left me feeling rejected as well. I guess part of the problem is my delusion that I should be able to get back some of the value out of the expensive items I had to buy to set up house for my shorty. Technically, I used the high chair and/or swing every day for two years. I guess that MIGHT mean I got my value out of it. Now the high chair/swing is out of my kitchen. But, it is still filling up my car. Doh. Posted in Entertainment Worship & Review, What I Learned This Week and tagged ABC, Anxiety, baby swing, Becki Newton, funny, high chair, humor, learn, Once Upon a Child, rejection, show, television, Ugly Betty. Bookmark the permalink. I grew up watching Card Sharks, Classic Concentration, Press Your Luck, The Price is Right, and Jeopardy on television. I always played along, as if I was a contestant out in sunny California right along with them. When I watched Jeopardy, I even trained myself to always answer in the form of a question. See, I always believed that someday I would get to compete on one of those game shows for cash, fabulous prizes, bragging rights, and the chance to be on TV. Other people dream of getting their own reality show or having a video of having their nuts hit by a ball on America’s Funniest Home Videos. I wanted to beat the Whammy on Press Your Luck and solve the puzzles on Classic Concentration. I never knew exactly how I would have enough money to get out to California to compete. But I believed, so much so that I kept notebooks from high school and college filled with information. I believe some day in the future I would use them to study for Jeopardy. Around 2000, I finally got rid of them. I lived in a small apartment with a large amount of clutter. I gave up on my dream. Recently, following my layoff, I started watching “Who Wants to Be a Millionaire”. I realized I am pretty darn good at it. I started playing it on Facebook, although I soon discovered I do not like how the set up differs from the television version. Then I saw I could play Jeopardy on Facebook. Then during the Jeopardy show they said you could go online and take the contestant test. But by the time I was able to, the website said they had reached their maximum number of testers. Posted in Childhood Reminiscing, Entertainment Worship & Review and tagged Alex Trebek, Card Sharks, cash, Classic Concentration, contestant, dream, fabulous prizes, game, Jeopardy, Meredith Viera, notebook, Press Your Luck, show, television, The Price is Right, TV, Who Wants to Be a Millionaire. Bookmark the permalink.